Part 2 of “Dressing the Part,” written by Melissa Martens Yaverbaum, former JMM curator. Originally published in Generations – Winter 2001. Unlike some groups of immigrants who came to America for temporary refuge, most Jewish newcomers came to America to find a permanent home, and they pursued assimilation aggressively through purchases of appropriate clothing and household items. Whether they obtained clothing from small shops, neighborhood stores, discount stores, or department stores, many sought dramatic transformation. For those who could not afford the fanciest clothing, fashions shown in department store catalogs, advertisements, and display windows had a profound impact on styles that could be imitated across class lines. As Andrew Heinze concludes in Adapting to Abundance: Jewish Immigrants, Mass Consumption, and the Search for American Identity, Jewish women coming to America embrace fashion enthusiastically. 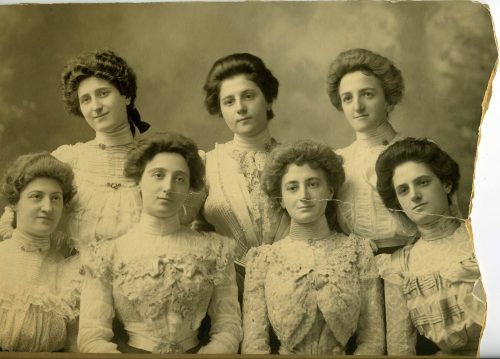 Jewish women, through their traditional connections to retail and needle trades, combined with a drive to assimilate, were often aggressive in their pursuit of style. They were even stereotyped as having an uncanny zeal for extravagant clothing. Not only were Jewish women consumers, but they often had particular familiarity with clothing whether as store managers, shop girls, garment workers, balebostes, or as leaders of philanthropic and social events. Portrait of Gretchen Hochschild Hutzler in 1910 (daughter of Max Hochschild and wife of Albert D. Hutzler). She undoubtedly obtained all of her clothing from her family department stores. JMM 1991.26.10. For well-off “German” Jewish women, clothing and fashion also came to have particular weight. In the decades that the first department stores emerged in Baltimore, a new kind of Jewish social life was taking shape in the fashionable neighborhoods around Eutaw Place. Here were settling the second generation of “German” Jews, a generation whose parents had arrived in America and succeeded in creating a comfortable lifestyle. These uptown Jews built and furnished handsome homes, organized Jewish social events, and established Jewish social clubs. The lifestyles of the well-off “German” Jews set new standards for the young Jewish lady in Baltimore, requiring appropriate attire for all occasions. 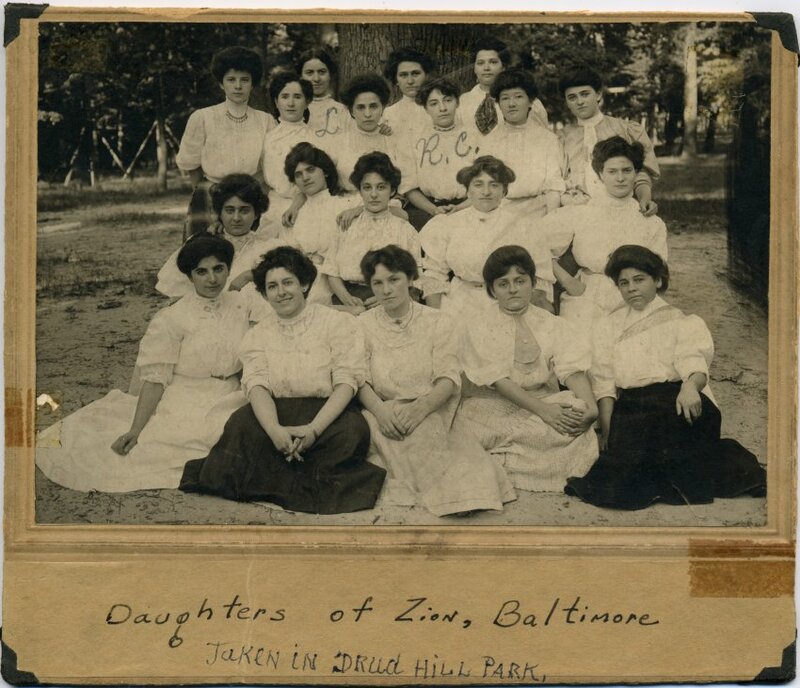 The Daughters of Zion in Druid Hill Park in 1906. JMM 1996.76. Many of the accoutrements of Victorian living, whether for special occasions or everyday use, came from local department stores that specialized in fancy and imported goods. Baltimore’s female shoppers turned to the department stores in search of models for middle- and upper-class lifestyles. 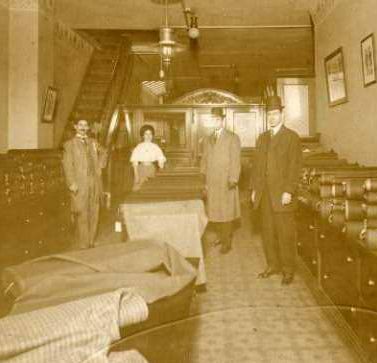 Department store owners were glad to oblige, and were among the principal advocates for stylish living that required everything from fancy furniture, porcelain, and linens, to corsets, high-button shoes, evening gowns, fine hats, and gloves. 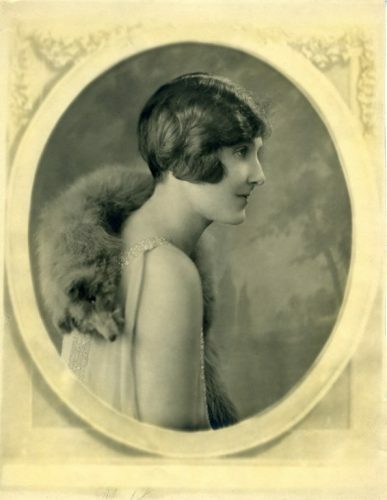 Portrait of Sadie Jacobs Crockin, c. 1920. JMM 1996.21.11. HUTZLER BROTHERS 212, 214, 216, 218 N. Howard Street. Dress goods and fixings for balls and parties. No house could possibly be better equipped than Hutzler Bros. for all things required for evening wear. Wedding trousseaux a specialty. This kind of advertisement likely ran in non-Jewish publications at the same time, but an advertisement that promotes a Jewish business, in a Jewish newspaper, aimed at Jewish consumers, provides a stamp of cultural legitimacy that validates the merger between Jewish living and American style. Anticipating those occasions for which a Jewish person might need stylish clothing – weddings, confirmation ceremonies, and events at the Phoenix Club, Harmony Circle, or civic events – department store ads in Jewish periodicals matched their inventories to a willing, able audience. Continue to Part 3: A Social Strategy publishing on April 22, 2019. Barbara A. Schreier, Becoming American Women: Clothing and the Jewish Immigration Experience 1880-1920 (Chicago: Chicago Historical Society, 1994) 50. Andrew R. Heinze, Adapting to Abundance: Jewish Immigrants, Mass Consumption, and the Search for American Identity (New York: Columbia University Press, 1990) 220. Jewish Comment, 13 December 1896. Written by Melissa Martens Yaverbaum, former JMM curator. Originally published in Generations – Winter 2001. Baltimore’s grand department stores were more than just retail establishments – they were also venues for fantasy and transformation. The first generation of grand department stores – Joel Gutman’s Hutzler’s, Hochschild Kohn’s, the Hecht stores, and Posner’s (later Stewart’s) – were shaped like palaces, designed for service, and decorated with all that was elegant. The department stores transported customers to a world that was fashionable, and fed their social aspirations with fine goods and clothing. Because clothing was one’s social uniform, dress was one of the most immediate ways to create identity, demonstrate status, and set aspirations in motion. Beginning in the 1880s and 1890s, Baltimore’s downtown department stores offered women new opportunities to acquire the finest imported goods, silks, and laces under one roof at fixed prices. Handsomely displayed, cleverly advertised, and regularly available for the first time in Baltimore, department store clothing set new standards of fashion and taste for women. For generations, the department stores were key contributors to the creation of identity through appearance. The Rosenfeld sisters, residents of the Eutaw Place neighborhood, dressed handsomely for a portrait at Bachrach Studios in 1900. JMM 1991.126.5. After the Civil War, the American clothing industry expanded rapidly. Clothing production shifted from individual construction to factory-made production, and ready-to-wear clothing for both men and women became widely available in a variety of price ranges. 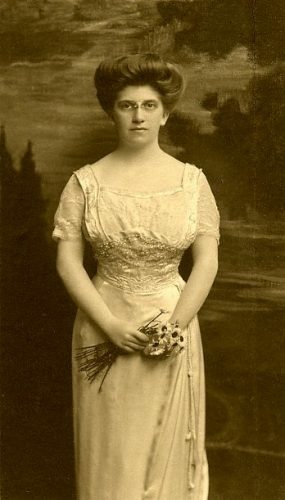 Department stores were noted for introducing ready-made women’s clothing into the Baltimore marketplace, and in time, women’s ready-to-wear goods became the leading stock of the department stores. Prominent department stores were also advocates for fashion, encouraging consumers to purchase the latest in seasonal styles. 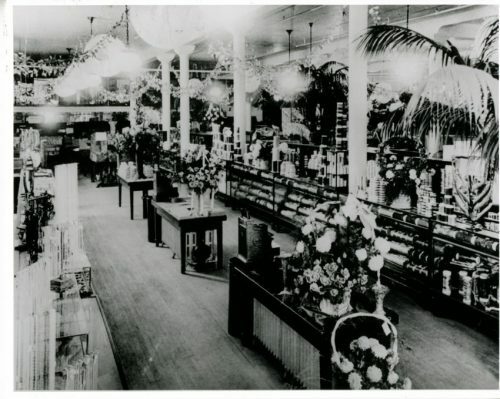 Department store goods at Hochschild Kohn’s displayed in grand style, c. 1897. JMM 2000.149.3. As a result, the department stores had a profound influence on women, especially Jewish women, who sought to establish their social position through appearance and fashion. For immigrant newcomers, department store clothing represented America. For those already established, clothing was a means to assert their arrival in the middle and upper classes. As Jewish women adapted to American ways, fashionable dress began to inform and shape the style of Jewish social life and religious observance. The consumption of department store goods, whether by looking or purchasing, became a key component of Jewish-American womanhood. Jewish shop girls, such as this one working in Abraham Fineman’s shop around 1910, were regularly exposed to clothing, thus accelerating their fashion sensibilities. JMM 1991.28.1. Continue to Part 2: A Permanent Home, publishing on April 15, 2019. 1] Philip Kahn, Jr., “And So They Came, And Sew They Did,” Threads of Life: Jewish Involvement in Baltimore’s Garment Industry (Baltimore: The Jewish Historical Society of Maryland) 4. Quoted in Barbara A. Schreier, Becoming American Women: Clothing and the Jewish Immigration Experience 1880-1920 (Chicago: Chicago Historical Society, 1994) 68. Part 8 of “Strangers No More: Jewish Life in Maryland’s Small Towns. Missed the beginning? Head there now! Written by Karen Falk, former JMM curator. Originally published in Generations – Winter 2001. 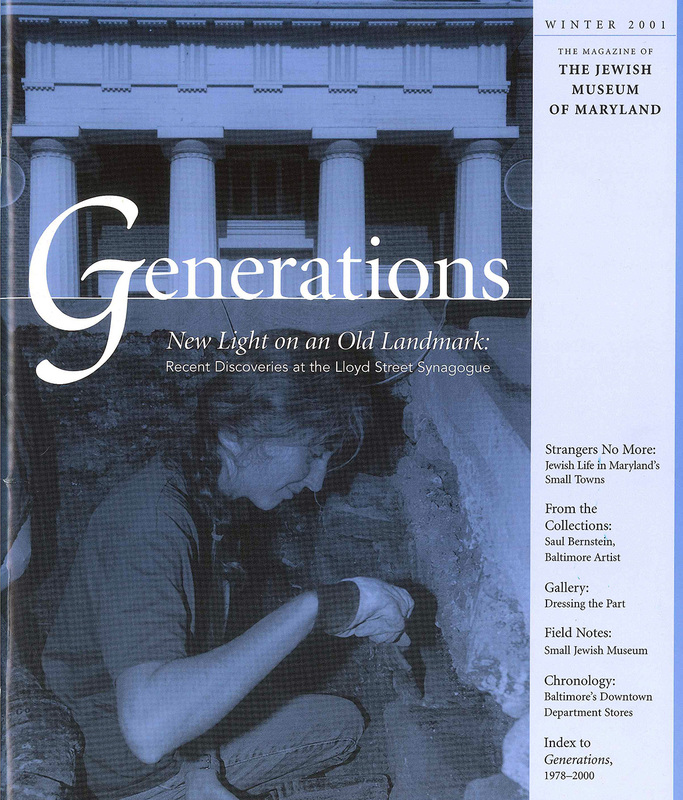 If you would like to purchase a hard copy of this issue, please contact our shop, Esther’s Place, at 443-873-5179 or email info@jewishmuseummd.org. The following letter was originally published in The Jewish Comment on August 24, 1917. The Jewish Comment was published in Baltimore from 1895 to 1918, functioning in the community much like the Baltimore Jewish Times today. The writer, Himan N. Werntz, was born in Lithuania in 1881, and emigrated to Baltimore in 1902. Shortly thereafter, he arrive in Brunswick to work for V. Kaplon Company, Brunswick’s leading department store, and to serve the community as a Hebrew teacher. 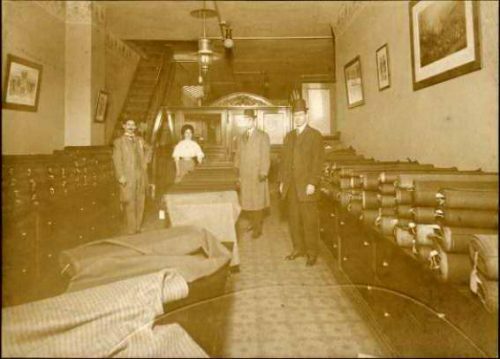 In 1907, he and his brother-in-law opened a combination clothing and grocery store. In the September 14, 1917 issue of The Jewish Comment, Werntz clarifies that “the Jewish population of this popular railroad town numbers about 14 families. Every Jewish family here conducts a strictly kosher house. Through the work of the entire Jewish community a movement was launched last winter to erect a modern synagogue here.” Although Beth Israel Congregation’s synagogue was completed and dedicated on June 8, 1919 amid great expectations, its use as a place of worship appears to have ended by the early 1930s. Mr. Wentz moved his family to Baltimore in 1920, although he maintained his business in Brunswick until just before his death in 1961. There was a time when the Jew looked with much disfavor upon the small towns of this country. No Jew was eager to live in a small country town and when forced to move to a small town it was considered only a temporary home, as it afforded an opportunity to live very economically, in order, later, to move to a city among his fellow-brethren. The Jew was considered a stranger among his Gentile neighbors. He failed to take interest in the welfare of the small town. In municipal affairs the Jew was lax. The feelings of the Gentiles were aroused sometimes, and they considered us a race or nation of money-lovers. But matter and circumstances changed. It is quite different now. It is quite a usual phenomenon to see a large number of our people move to small towns to make a permanent home. Persons who moved to the city and got rid of all their country savings turn their eyes back to the sweet old country; they love the surroundings, the healthy climate, the pure air and the pure and fresh food. The Jewish settlement in the small and large country towns is growing rapidly. The interest and the welfare of the community are familiar to us. The Jews take part in nearly everything touching the improvement of the community. In municipal affairs the Jews learned to produce strength and ability. In financial institutions the Jews is a good fact, and, in fact, the Gentiles consider us good financiers and trusty persons and the success of a number of the country banks is largely attributed to the support and work of the Jews. We are respected in general and the future is bright. The small towns can become populous Jewish centers, with a healthy future generation. In short, the financial situation of the Jews in the small towns is improving, together with the growth of the community. But while the financial conditions are considered good and substantially strong, the spiritual and religious situation is much to the contrary. The religious situation is deplorable. While every church in the country is endeavoring to organize Sunday Schools and other associations, the tendency of the Jews in the small towns toward improving Judaism is developing very slowly or not at all. While nearly every Jewish settlement possesses a synagogue or contemplates the erection of one, they conduct services only during Rosh Hashanah and Yom Kippur. A number of Sabbath and Sunday Schools were organized, but in vain. There is no attraction and consequently the children fail to attend. The majority of the small towns have no rabbi to visit them. They have teachers who are strangers to our literature and to our wonderful history and, or course, have little knowledge or none at all of Hebrew. Such teachers are not fit even to teach a Sabbath or Sunday School. Inasmuch as the children receive no other Jewish education there are some Chedorim conducted by the Shochet of the town and in nearly all cases he has no system or knowledge of pedagogies. The situation is growing critical. The children know little of our religion, of our history, and the future generation will have very little love for his people. We must open wide our eyes and protect our children and ourselves. We must look out for the fruit. The voice of God is roaring, “Take good care of thy youngsters. Protect their young and soft hearts from dust and faults, so they will grow up and stay with you.” Reform or Orthodox, but Jews they shall be. Where are our religious leaders? Have they ever visited a small town? It is up to our rabbis to try to be in touch with the situation. It is up to them to investigate. It is up to them to find the remedy. The Jewish Comment, the only Jewish magazine in this section, helps much the cause of Judaism in general. Although devoted principally to Reform Judaism, I feel sure that its columns are open for Orthodox as well as Reform leaders to discuss the subject of remedying Judaism. Let there not be any friction and division wherever it touches on Judaism. Zionist and anti should join hands and drop politics and work for this worthy and most important cause. Now is the proper time and opportunity and the opportunity knocks at our doors. Rabbis and laymen let me hear your voices. The Jews in the country towns are ready to assist you and to obey your commands. I appeal to you with sincere feelings, being familiar with conditions in the small towns. Help us rear good Jews in the small towns. We need your assistance, your advice, your teachings and knowledge. Will my appeal remain like a voice in a desert?